Bulgaria is a country gradually becoming known to travelers, particularly those looking for a budget destination. From the inland cities to mountain monasteries to the Black Sea Coast, Bulgaria is rich in history and culture that will be apparent to any visitor. 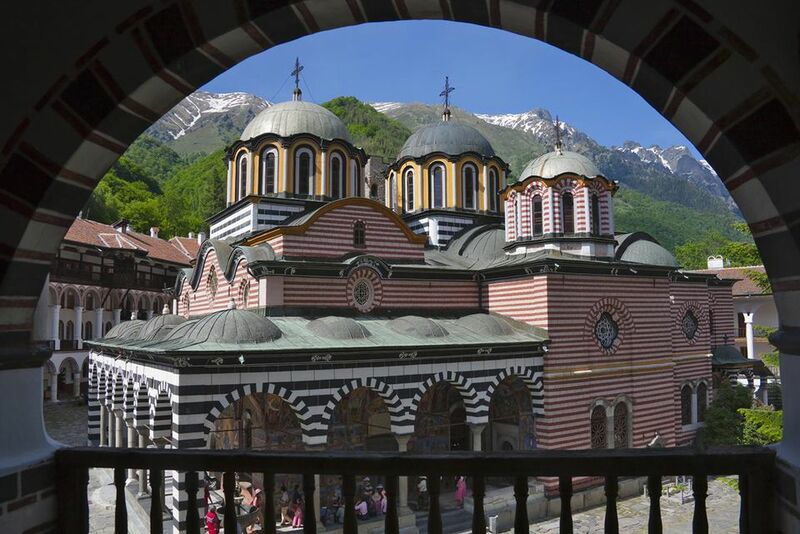 Whether you're considering making Bulgaria part of your travel plans in the near future or have already booked your tickets to this country in Southeastern Europe, learning more about Bulgaria, including basic facts, will enrich your experience. Location: Bulgaria borders five countries and the Black Sea to the East. The Danube River creates the longest border between Bulgaria and Romania. The other neighbors are Turkey, Greece, Serbia, and the Republic of Macedonia. Currency: Lev (BGN) Time Zone: Eastern European Time (EET) and Eastern European Summer Time (EEST) in summer. Language and Alphabet: Bulgarian is a Slavic language, but has a few peculiarities, such as suffixed indefinite articles and an absence of verb infinitives. A hot issue with Bulgarians is the view that Macedonian is not a separate language, but a dialect of Bulgarian. Thus, Bulgarian and Macedonian are mutually intelligible. The Cyrillic alphabet, which was developed in Bulgaria during the 10th century, became the third official alphabet of the European Union after Bulgaria's accession. Travelers who know Russian or another Slavic language (particularly one that uses Cyrillic) will have an easier time in Bulgaria due to shared language traits and root words. Religion: Religion typically follows ethnicity in Bulgaria. Almost ninety-four percent of Bulgarians are ethnic Slavs, and 82.6 of them belong to the Bulgarian Orthodox Church, the country's traditional religion. The largest minority religion is Islam, of which most are ethnic Turks. Visa Information: Citizens from the US, Canada, UK, and most European countries do not require a visa for visits under 90 days. Airport: Sofia Airport (SOF) is where most travelers will arrive. It is 3.1 miles East of central Sofia with shuttle bus #30 connecting to the city center, and bus #84 and #384 connecting to the Mladost 1 Metro Station. Trains: Night trains with sleeper cars connect the Central Railway Station Sofia (Централна железопътна гара София) with many other cities. Although old, the trains are safe and travelers should expect a nice, uneventful rest, though passengers traveling between Turkey and Sofia will have to wake up to go through customs at the border. History: Bulgaria has existed since the 7th century and as an empire for seven centuries, until it came under Ottoman rule for 500 years. It regained its independence and embraced communism after WWII. Today it is a parliamentary democracy and a part of the European Union. Culture: Bulgaria's cultural identity enjoys a broad scope. Bulgarian folk costumes can be seen during Bulgaria's holidays and festivals. In March, check out the Martenitsa tradition for Baba Marta, which welcomes spring with colorful twine charms. Bulgarian traditional foods exhibit influences from neighboring regions and the 500 years of Ottoman reign in the region – enjoy them through the year and on special occasions, such as for Christmas in Bulgaria. Finally, Bulgarian souvenirs, such as pottery, wood carving, and natural beauty products are often specific to particular regions of this country.